It wasn't a controversial moment or even a body of work that brought Sleigh Bells attention at first. Back in September 2009, a rough version of their first release "A/B Machines" hit the blogs and caught people's attention immediately. Purposely distorted, loud, and abrasive, the sound was completely unique while pulling from multiple genres. The pattern continued on their debut, Treats, released on June 1 of this year. By that time, they were already being hyped as one of the hottest new bands around. 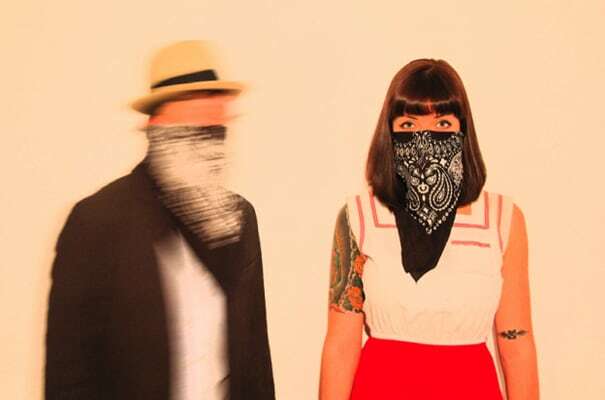 LISTEN: Sleigh Bells "A/B Machines"